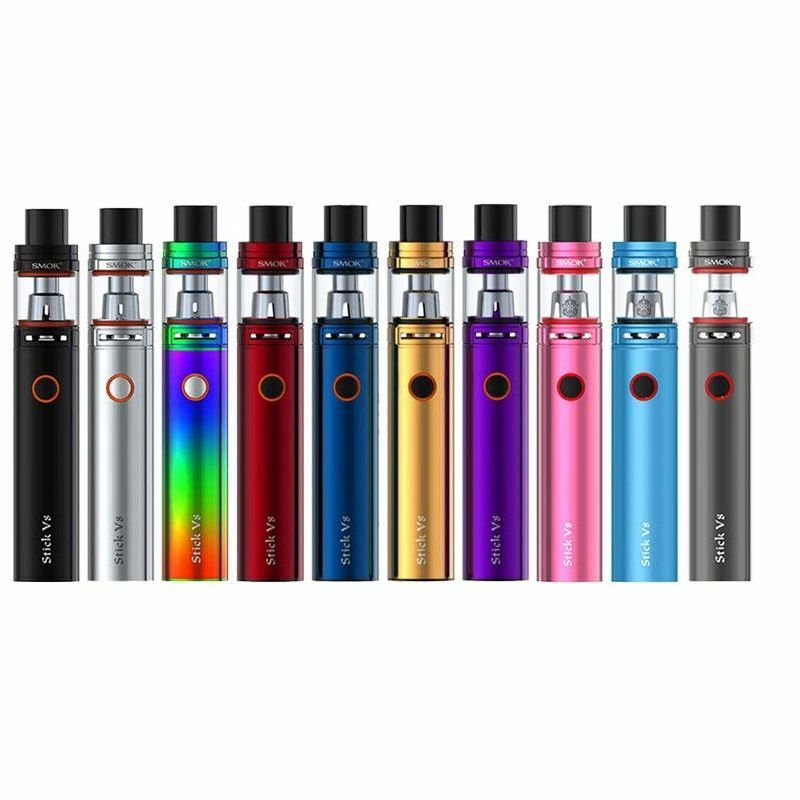 The Smok Stick V8 Starter Kit is an affordable and easy to use pen vaporizer that offers massive power in a slim and portable package for discreet sessions on the go. 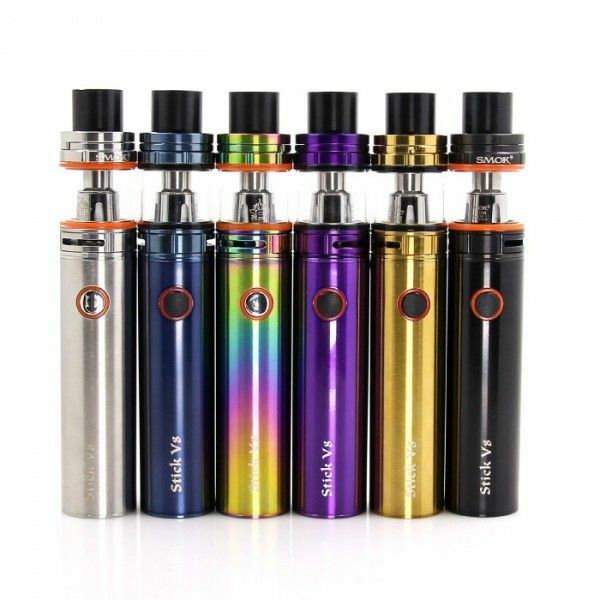 This vaporizer consists of the Smok TFV8 Baby Beast Sub Ohm Tank and the Stick V8 2000mAh direct output voltage battery. Together these parts create a slender, 22mm device that fits great in a pants or jacket pocket. 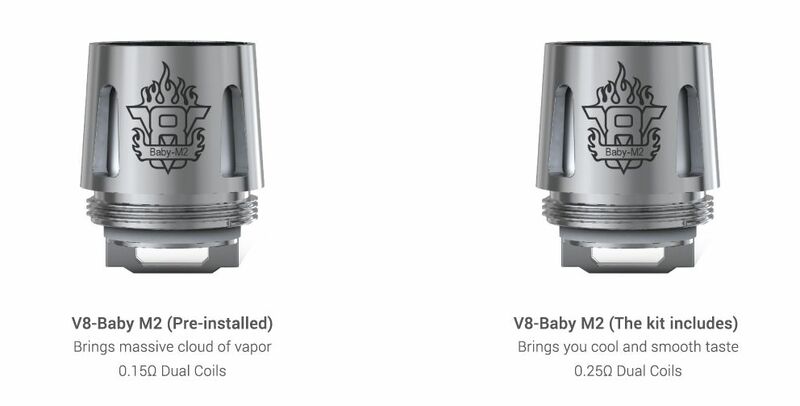 Smok's TFV8 Baby Beast is a small yet powerful sub ohm tank that is capable of holding up to 3mL of liquid at any given time. Achieve your maximum tank capacity using the innovative top fill feature that allows you to open, refill and reassemble your device in just a matter of seconds. This tank comes equipped with two new V8 Baby M2-Core atomizer heads that are each optimized for use with the Smok Stick V8 direct output voltage battery. If it is more power you seek you can pair the TFV8 Baby with most 510 accepting high output box mods to use the original TFV8 Baby Atomizers. 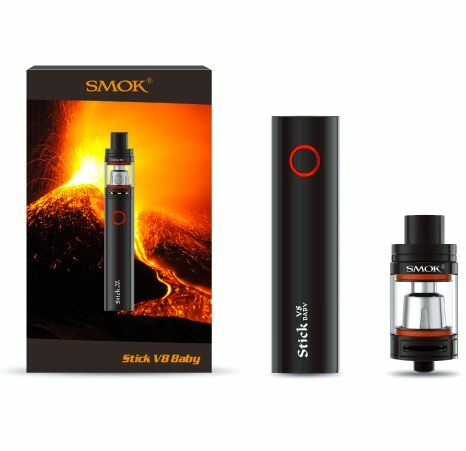 The Smok Stick V8 Battery is a simply to use 510 threaded rechargeable lithium-ion battery that boasts a large 2000mAh capacity for an extremely long life span, perfect for use on the move. This battery sports a user-friendly one button operation with innovative intelligent battery life indicator that will notify you when the voltage falls below 3.3V by flashing 15 times. 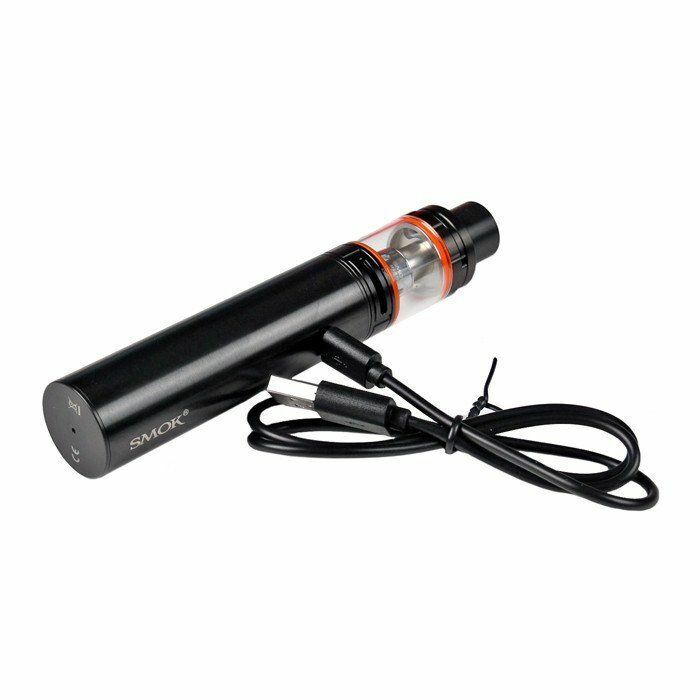 This battery utilizes a direct output voltage mode that will adjust it's current output level based on the current state of life. A number of safety features will also help to prevent damage while also ensuring you are safely vaping at all times. 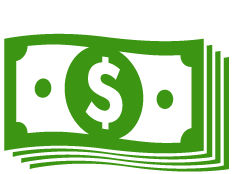 This includes an 8 second automatic cut-off, overcharge prevention, low-resistance, short-circuit, and low-voltage protections.